put anti-gay marriage legislation on their 2012 ballots. look & her spin on LGBT Civil Rights…. 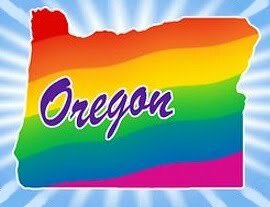 I think it’s really important that Oregonians have an understanding of how discrimination impacts the lesbian, gay, transgender and bi-sexual community. I fully support the work that Basic Rights Oregon does. They do an amazing job educating and engaging Oregonians across the state.